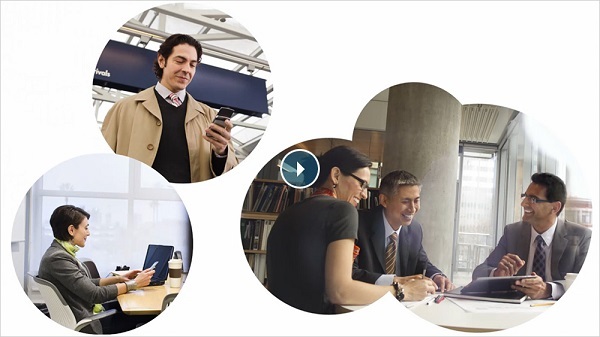 Senior Executive Vice President - External and Legislative Affairs, AT&T Services, Inc.
We're recognized as one of the leading worldwide providers of IP-based communications services to businesses. We also have the nation's largest 4G network — covering 275 million people, and 2,000 more 4G cities and towns than Verizon, and the largest international coverage of any U.S. wireless carrier, offering the most phones that work in the most countries. AT&T operates the nation's largest Wi-Fi network** including more than 30,000 AT&T Wi-Fi Hot Spots at popular restaurants, hotels, bookstores and retailers, and provides access to more than 220,000 hotspots globally through roaming agreements. The AT&T Telepresence Solution(R) offers an "in-person" meeting experience enabling you to collaborate with customers, suppliers and business partners on the AT&T Business Exchange, a unique intercompany collaboration feature of AT&T Telepresence Solution. This dynamic business-to-business, multipoint, meet-me bridging capability allows multiple companies in different locations to connect to one another using the reliability of AT&T VPN services. 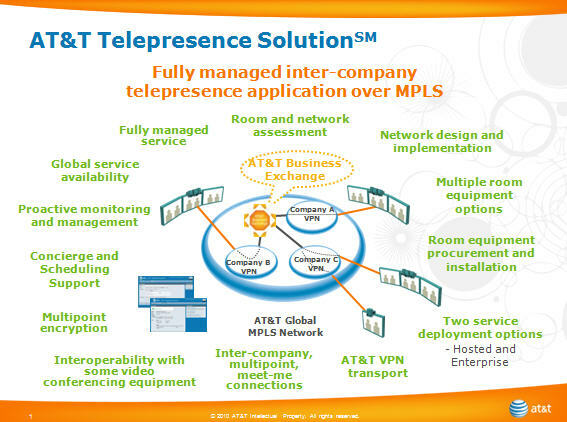 It's the first, fully managed, multipoint, business-to-business telepresence application powered by the industry leading AT&T global MPLS IP-based network.